Dubravka Tomsic | Dispeker Artists, Inc. 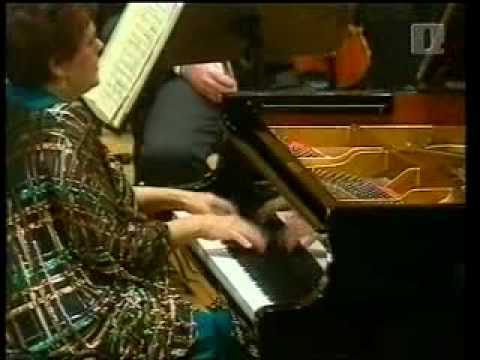 The celebrated Slovenian pianist Dubravka Tomsic enjoys “something of a cult status among pianophiles" (Gramophone Magazine), with performances that convey "heroic power and Olympian vision" (Los Angeles Times) as well as "splendor, drama, passion, poetry, and subtlety" (Boston Globe). The only protégé of legendary pianist Artur Rubinstein, who considered her "a perfect and marvelous pianist," she gave her first public recital at age five and later embarked on an international career that has taken her to five continents. Over the course of her career, Ms. Tomsic has been heard in recital at major halls in Munich, Berlin, Prague, Moscow, St. Petersburg, Budapest, Madrid, Amsterdam, London and Rome, and at the international festivals of Dubrovnik, Vienna, Prague, Naples, Dresden, Paris, Mexico City, Joliette (Canada), Gilmore, Newport, Tanglewood, and Mostly Mozart (New York City). Equally in demand as a soloist with orchestras, she has appeared with the Vienna Symphony, Royal Philharmonic Orchestra of London, Czech Philharmonic, Leipzig Gewandhaus Orchestra, l’Orchestre de la Suisse Romande, Munich Philharmonic, Berlin Symphony, Mozarteum Orchestra in Salzburg, Dresden Staatskapelle, Moscow State Orchestra, New York Philharmonic, Amsterdam Concertgebouw, Mexico City Philharmonic, the symphonies of Boston, Atlanta, Detroit, and San Francisco, and the major orchestras of Australia. "Tomsic’s amorous and rich tones were showcased in the Andante Spianato, whereas the Polonaise section displayed her intense and powerful sound. Her playing was brilliant and exciting as she presented impeccable technique."